RedBox TV Best Streaming App. 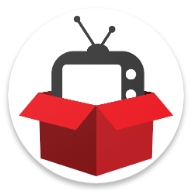 RedBox TV is a FREE live streaming App where you can watch your favorite TV channels anytime. It has 1000+ live channels from 15 different countries. 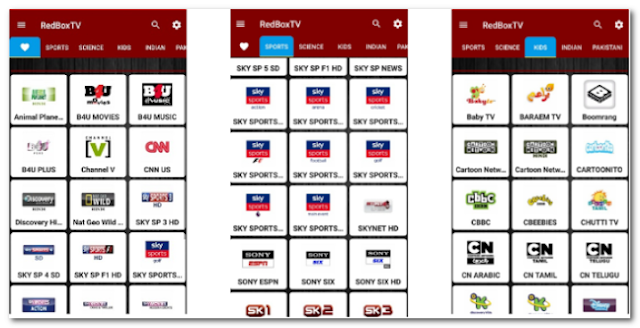 RedBox TV provides you the free streams of 1000+ channels from 15 different countries. There are sports channels, science channels, Kids channels, Indian channels, Pakistani channels, Malaysian Channels, German Channels etc. You may find yourself in the ocean of entertainment. You want to learn something new you go to Science channels. You want to watch your favorite league go to Sport category. You want enjoy a romantic evening with your love one go to entertainment category. There is a channels for every mood and every kind of person. There is a saying that the best things in world are FREE. RedBox TV has built in support for all the famous media players. It supports android player, MX player, 321 player and Web Player. However, we suggest you to use XYZ player developed by our team. The App is light weight and very responsive. It was developed using a minimalistic approach. It will never take more than 30 MB storage of your phone. Considering the whooping amount of channels it was a development challenge. We try our best to keep the stream up to date and working. However, if you find any stream down, you may report using our built in reporting feature.